For the best washing machine services in all of Vaughan, look no further than Appliance Repair Vaughan! Our professional washing machine technician in Vaughan, ON has many years of experience working with every kind of washing machine known to man. There isn’t a washing machine that we can’t service, and there doubly isn’t a washing machine that we can’t install. If you need a washing machine installed in your home, we can help! Our experienced technicians are fully able to carry, lift, and maneuver washing machines around any house. They know how to properly provide washer installation in any home, correctly setting up the plumbing tubes for proper water drawing. We also offer this service at a great price! 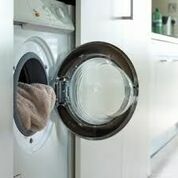 We can send a washing machine technician to your home today for installation services. We also offer washer service for all of our customers. This includes maintenance and troubleshooting to ensure a high quality return for your money spent. Moreover, maintenance can prevent the need for repairs in the long run. Finally, we come to the heart of our business; washing machine repair. We can repair any washing machine, regardless of make or model. Our experienced technicians always carry a plethora of parts and tools to ensure the speedy repair of your washing machine. This way, they need not make any trips back to our warehouse for parts and can ultimately provide you with a much faster form of services. Vaughan Appliance Repair is proud to provide these services to our community, and even prouder to offer them at an affordable price. Grab a phone and get in touch with us today! One of our friendly representatives will be there to answer your call and place you on the right track to receive our professional services on a date of your choosing. If it works for you, it works for us!